That new life began on Easter Sunday. In the Our Father, we pray that "Thy Kingdom come, on earth as it is in Heaven." And Christ told His disciples that some of them would not die until they saw the Kingdom of God "coming in power" (Mark 9:1). The early Christian Fathers saw Easter as the fulfillment of that promise. With the resurrection of Christ, God's Kingdom is established on earth, in the form of the Church. That is why people who are converting to Catholicism traditionally are baptized at the Easter Vigil service, which takes place on Holy Saturday (the day before Easter), starting sometime after sunset. They have usually undergone a long process of study and preparation known as the Rite of Christian Initiation for Adults (RCIA). Their baptism parallels Christ's own Death and Resurrection, as they die to sin and rise to new life in the Kingdom of God. 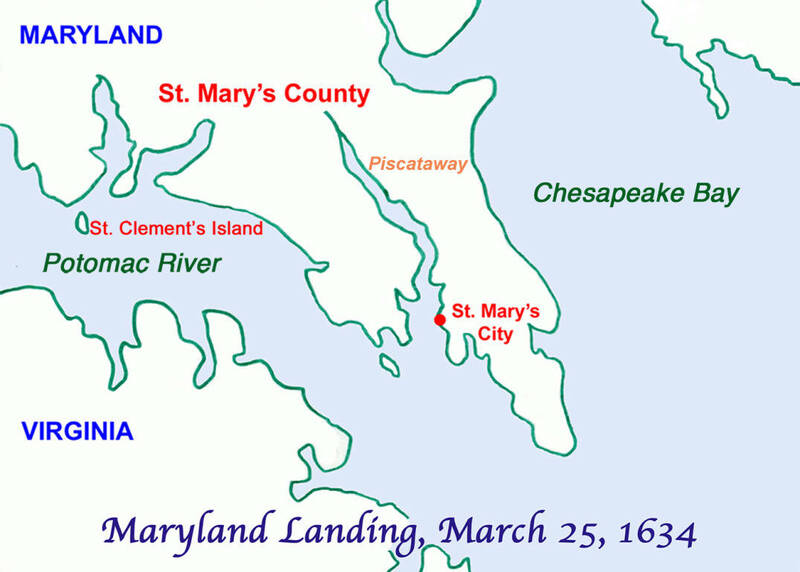 The first Mass in the English-speaking American colonies was held on Saint Clement's Island in Maryland on March 25, 1634, and was the beginning of the Archdiocese of Washington. Ordinary Time begins after Evening Prayer on the Feast of the Baptism of the Lord (January 13, 2019) until Ash Wednesday (March 6, 2019). The Season of Lent begins on Ash Wednesday (March 6, 2019) and ends with the Celebration of the Evening Mass of the Lord’s Supper on Holy Thursday (April 18, 2019). The Paschal Triduum begins on Holy Thursday with the Evening Mass of the Lord’s Supper (April 18, 2019) and ends with Evening Prayer on Easter Sunday (April 21, 2019). The Easter Season begins on Easter Sunday (April 21, 2019) and ends with Evening Prayer on the Solemnity of Pentecost (June 9, 2019). Ordinary Time begins after Evening Prayer on the Solemnity of Pentecost (June 9, 2019) and continues until Evening Prayer of the First Sunday of Advent (December 1, 2019). Although African American Catholics are among the smaller constituencies of the Catholic Church in the United States we had over recent years some several hundred black priests from which these aforesaid bishops were chosen. Most of the ordinations of black priests in this country took place in the 1970s and 1980s; vocation numbers tapering off thereafter. Right now priestly numbers in the African American community across the country hover around two-hundred. 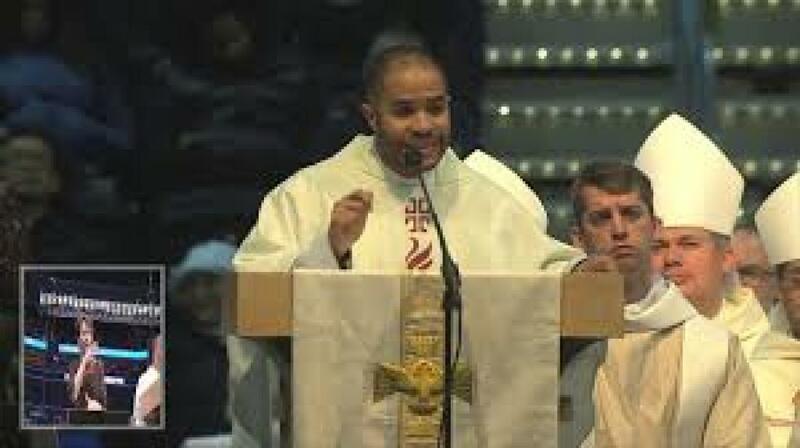 We need more priestly vocations in the Church in America in general and more African American priests in particular. Twenty-four bishops of African descent appointed over the years for the United States is a milestone. Currently ten are active and six are retired. Of the active African American Bishops, seven are Ordinaries or heads of dioceses, i.e., Holley, Gregory, Steib, Ricard, Guillory, Murry and Braxton. 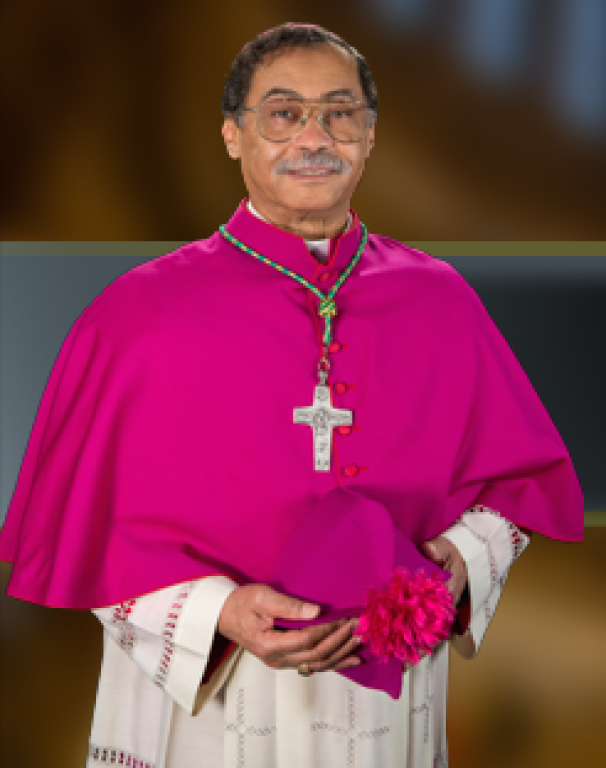 Bishop Roy E. Campbell, Jr., was born on November 19, 1947 to Roy Edward Campbell, Sr. and Julia Ann (Chesley) Campbell, and has been a life-long member of the Archdiocese of Washington. He was baptized at St. Mary Star of the Sea in Indian Head, MD, received his First Holy Communion in 1956 at Saint Cyprian Church in Southeast Washington and the Sacrament of Confirmation in 1959 at the Shrine of the Sacred Heart Church in Northwest Washington. He attended Bruce Elementary Public School and for seventh and eighth grade, he attended Shrine of the Sacred Heart School in Washington. He is a 1965 graduate of Archbishop Carroll High School in Washington. Father Campbell majored in Zoology, with minors in Anthropology and Chemistry at Howard University, before leaving to work at Suburban Trust Company as a teller in order to continue to pay his way to complete his studies. Campbell earned a graduate degree in retail banking from the Consumer Bankers Association’s Graduate School of Retail Bank Management at the University of Virginia’s McIntire School of Commerce, and worked in the retail banking industry in the Washington-Baltimore area until taking early retirement in 2002. Throughout his life, Father Campbell was an active Catholic both in parishes and the broader Washington-area community, serving as a lector and usher at the Shrine of the Sacred Heart, as a member on the Pastoral and Finance Councils. He also had an interest at a young age in a vocation to the priesthood. “Upon graduating from the eighth grade, Capuchin Friars invited me to join other boys for part of the summer at their seminary, outside Pittsburgh. I enjoyed my stay with them, but was not ready to commit to attending seminary high school. However, the crucifix that I purchased there at age 13 still hangs on the wall of my bedroom,” he said. In 1999, Campbell entered the archdiocese’s permanent diaconate program in the Class of 2004’s Aspirant Year. During that time, he assisted in planning and serving in liturgies, tutoring grade school children through St. Gabriel parish’s Petworth Youth Program, volunteered at Bethlehem House with adults who had physical and learning disabilities, and at the Joseph P. Kennedy Institute with children who had emotional and learning disabilities. In January 2003, Campbell entered Pope St. John XXIII National Seminary to begin his priestly formation, and completed his seminary studies at in 2007, graduating with a Master of Divinity degree. He was ordained into the priesthood on May 26, 2007 by Cardinal Donald Wuerl. Father Campbell’s first parish assignment was as parochial vicar at Saint Augustine parish in Washington 2007 to 2008, while also taking care of the sacramental needs of Immaculate Conception parish in Washington for six months. He was appointed pastor of Assumption Catholic Church in southeast Washington in 2008, and in 2010 was appointed to his current assignment, as pastor of Saint Joseph Catholic Church in Largo. In addition to being the pastor of Saint Joseph’s, he has served as dean of Middle Prince George’s County, and is a member of the Clergy Personnel Board, Vocations Board and College of Consultors. Father Campbell has three brothers, Roscoe William, Rodney Jerome and Robert, and two sisters, Cynthia and Darlene and his mother, Elizabeth (Barbour) Campbell. Rev. Campbell’s father, Mr. Roy Edward Campbell, Sr., passed away in 2007. Rev. Campbell is the proud uncle of eight nieces, five nephews, six grandnephews and two grandnieces. Plantation owner, Michael Morris Healy, and his bi-racial slave, Mary Eliza, had ten children during the1830s. 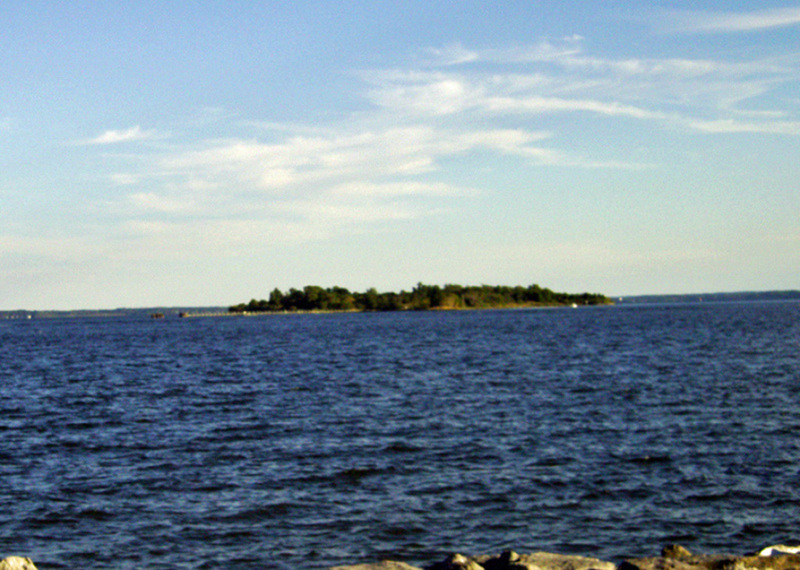 The Healy family lived in Georgia where the law prohibited the education of slave and mixed-race children. The Healy children were sent north by their wealthy father to be free, white and to receive a Catholic education. The children were fair-skinned enough to be identified as white Irish-American and their mixed race ancestry was not widely known. 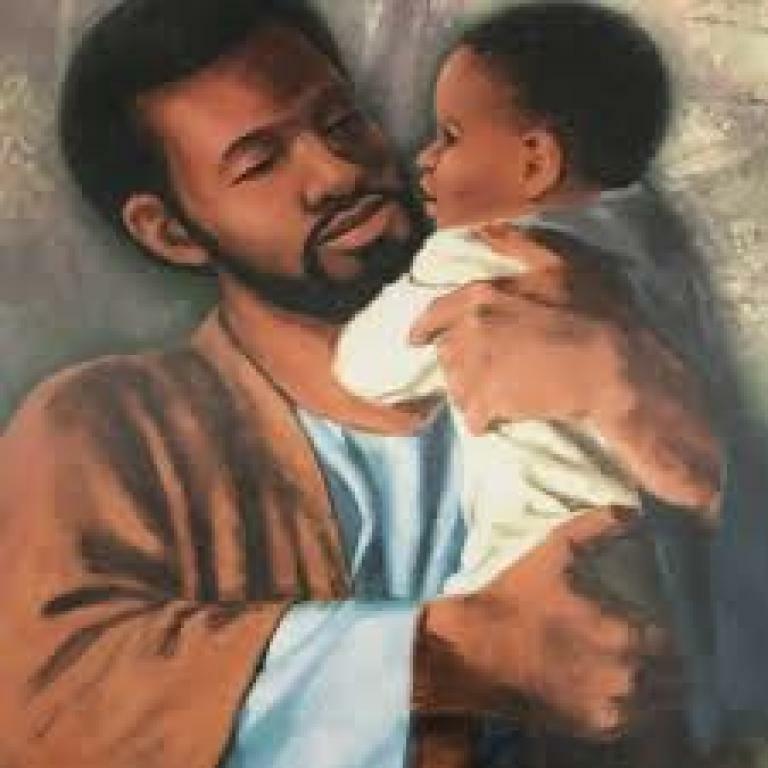 Therefore, the eldest brother, James Augustine Healy, was able to become the first person with some African-American heritage to become a Roman Catholic priest and the first to become a Roman Catholic bishop in the United States. Patrick Francis Healy may be considered the first African-American to earn a doctorate, the first African-American to become a Jesuit priest, and the first to serve as president of a predominantly white college, now Georgetown University. Sherwood Healy also became a priest and earned a doctorate. He became Director of the Seminary in Troy, New York, and Rector of the Cathedral in Boston. All three of the Healy sisters became nuns. Eliza, Sister Mary Magdalen, advanced to become a mother superior of the Villa Barlow Academy and convent in St. Albans, Vermont. According to author, James O'Toole, who wrote about the Healy family, it was not until the 1960s that the Healy’s mixed-race ancestry was widely known. Did you know that in 1886, Augustus Tolton became the first publicly known black Roman Catholic priest in the United States? A former slave who was baptized and reared Catholic, Tolton studied formally in Rome, because he was rejected from every American seminary. Later assigned to Chicago, Tolton led the development and construction of St. Monica’s Catholic Church in 1893. SERVANT OF GOD FR. AUGUSTUS TOLTON: In 2015, the Cause for Canonization of Fr. Augustus Tolton, begun in 2010, received affirmation of the juridicial validity of the Archdiocesan inquiry into his life and virtues by the Congregation for Causes of Saints, and Fr. Tolton received the distinction of Servant of God. The Our Mother of Africa Chapel is located in the Basilica of the National Shrine of the Immaculate Conception in Washington, DC. It was dedicated on August 30, 1998 during the National Black Congress VIII. The Chapel was presented by the African American community as a gift to the national shrine and to the Catholic community. The Chapel expresses the values, hopes, dreams, aspirations, and history of African American Catholic people. The completion of the chapel provides the shrine with 60 chapels, and six oratories reflecting the ethnic and cultural diversity of the United States church. The Oblate Sisters of Providence recently celebrated the homecoming of a possible saint. 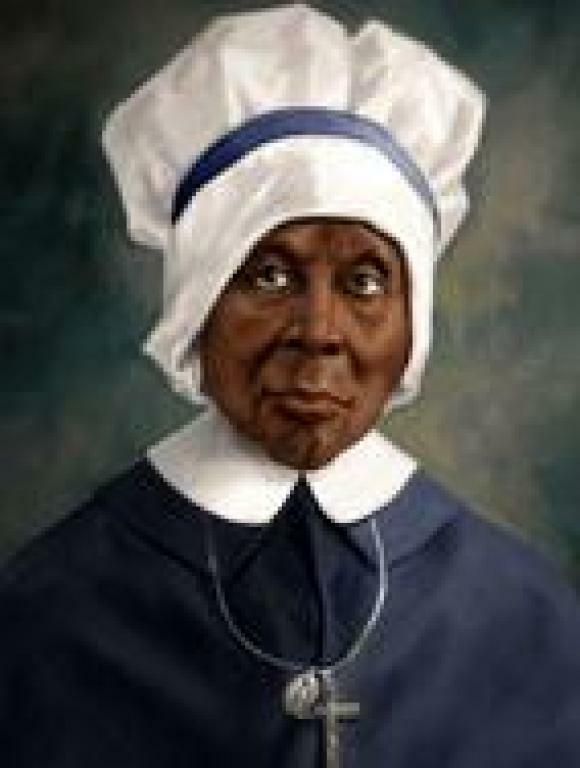 From the prayer book she carried to the flower petals she kept pressed inside its pages, Mother Mary Elizabeth Lange has long been a vivid presence at the headquarters of the Oblate Sisters of Providence, the order of African-American Catholic nuns she founded in Baltimore in 1829. Read about it in this Baltimore Sun Article. SERVANT OF GOD MARY LANGE: Cardinal Keeler of Baltimore opened a formal investigation into Mother Lange's life and works of charity in 1991, and the cause of her sainthood was approved in 2004. If the Congregation for the Causes of the Saints approves the positio being written, Mother Lange, currently considered a “Servant of God,” would be given the title “Venerable.” A confirmed miracle attributed to her would then be necessary for her beatification, and a second miracle for her canonization. Advent comes from the Latin word meaning "coming." Jesus is coming, and Advent is intended to be a season of preparation for His arrival. While we typically regard Advent as a joyous season, it is also intended to be a period of preparation, much like Lent. Prayer, penance and fasting are appropriate during this season. Advent is not as strict as Lent, and there are no rules for fasting, but it is meant to be a period of self-preparation. The purple color associated with Advent is also the color of penance. The faithful should fast during the first two weeks in particular and receive the Sacrament of Reconciliation. The color of the Third Sunday of Advent is rose. This color symbolizes joy and represents the happiness we will experience when Jesus comes again. The Third Sunday is a day of anticipatory celebration. It is formerly called "Gaudete" Sunday; gaudete means "rejoice" in Latin. Finally, Sundays during Advent, just as during Lent, should not be given to fasting, but instead to celebration because we celebrate the resurrection of Our Lord every Sunday. It is important to remember, however, there are no particular rules for how the laity should observe Advent. Advent devotions including the Advent wreath, remind us of the meaning of the season. Advent resources are listed below. The Feast of the Immaculate Conception celebrates the solemn belief in the Immaculate Conception of the Blessed Virgin Mary. It is universally celebrated on December 8, nine months before the feast of the Nativity of Mary, which is celebrated on September 8. An elder Mexican man makes his way to Mass in the early morning twilight of December 9, 1531. He is a peasant, a simple farmer and laborer, and he has no education. Born under Aztec rule, he is a convert to Catholicism, and each step he takes this morning is a step into history. The morning quiet is broken by a strange music that he will later describe as the beautiful sound of birds. Diverting his path to investigate the sound, Juan Diego comes face to face with a radiant apparition of the Virgin Mary. Juan Diego is 57 years old. He has just encountered the Virgin Mary on Tepeyac Hill, the site of a former Aztec Temple. His wife has died two years earlier, and he lives with his elder uncle, scratching his living from the earth as a humble peasant farmer. Why should this unlearned, man be chosen by Our Lady to carry a message to the Bishop? Perhaps because she would find none other as humble as Juan Diego. Juan Diego is dazzled by the incredible beauty and miraculous nature of Our Lady's appearance. She appears as a native princess to him, and her words sound more beautiful than the sweetest music ever made. Our Lady calms the startled traveler, and assures him of who she is. She instructs Juan Diego to visit his bishop and ask that a temple be built on the site of her appearance, so that she will have a place to hear petitions and to heal the suffering of the Mexican people. "Now go and put forth your best effort," Our Lady instructs. Visibly shaken, Juan Diego approaches the Bishop who is initially very skeptical of his account. What did this peasant truly want? Does he merely seek attention? Notoriety? Money? Or is he possessed by demons? Has Juan Diego been tricked by the Devil? The Bishop patiently listens to Juan Diego's accounts and dismisses him. The humble farmer has failed. Juan Diego begins to doubt himself. He returns to Tepeyac Hill where he hopes for some conformation of what he's experienced. Indeed, Our Lady does not disappoint, for she appears again, as radiant as before. Juan Diego tells Our Lady what she already knows, that the Bishop did not believe him. She instructs him to return the next morning and ask again. The Bishop is beside himself. Why did this peasant insist on telling this story? How could he know if the peasant was lying or perhaps insane? At their second meeting, the Bishop asks for a sign. Juan Diego makes a promise he won't keep, saying he will return the very next morning with a sign from Our Lady. But that evening, Juan Diego returns home to find his uncle, Juan Bernadino, who is 68 years old, and suddenly, terribly ill. The illness is known to the people there and it brings a burning fever so hot, it's almost always fatal. Juan Diego cannot leave his uncle's bedside to keep his pledge to the Bishop. He spends two days with his uncle, trying to save him. When it becomes apparent his uncle is about to die, he leaves to find a priest who can prepare him for death. Frightened and saddened, Juan Diego sets off in a great hurry, time is running out, and Juan Diego is afraid his uncle will die without a last confession. On the road, in his way, Our Lady appears for a third time. Upset and afraid, Juan explains himself. Our Lady replies, "Am I not your mother? ... Are you not in the crossing of my arms?" she asks. Shamed by the admonishment, but emboldened by Our Lady's presence, Juan Diego asks for the sign he promised to the Bishop. He knows he is wrong to doubt Our Lady. Juan Diego is instructed to climb to the top of Tepeyac Hill where he will find flowers. He is to pick the flowers there, which are unlike any he has seen before, and he is to keep them hidden in his tilma until he reaches the Bishop. Juan Diego is skeptical again. It's December, what flowers could grow on the summit of the hill in this cold? Nevertheless, he obeys and atop the hill he finds a great number of flowering roses which he picks and hastily gathers into his cloak. For the third time, Juan Diego is ushered in to see the Bishop. The skeptical cleric has waited for two days to see what sign Our Lady has for him. Juan opens his tilma, letting the roses cascade to the floor. But more than the roses, both men are astonished to see what is painted on his humble tilma - an exquisite image of Our Lady. In the image, she stands as she appeared, a native princess with high cheekbones. Her head is bowed and her hands are folded in prayer to God. On her blue cloak, the stars are arranged as they appeared in the morning darkness at the hour of her first apparition. Under her feet, is a great crescent moon, a symbol of the old Aztec religion. The message is clear, she is more powerful than the Aztec gods, yet she herself is not God. At the same time Our Lady is appearing to Juan Diego, and directing him to cut the flowers on Tepeyac Hill, she also appears to his uncle, Juan Bernadino who believes he is about to die. As soon as she appears, the fever stops and Juan Bernadino feels well again. She tells Juan Bernadino, she wants to be known as "Santa Maria, de Guadalupe." Our Lady of Guadalupe did not appear again, for her mission was complete. The temple was built and remains there today, in what is now a suburb of Mexico City. Juan Diego's tilma, woven from cactus fibers, with a shelf-life of just 30 years at best, remains miraculously preserved. The symbolism of Our Lady's dress is obvious to over eight million Native Mexicans, whom all speak different languages. She is brighter than the sun, more powerful than any Aztec god, yet she is not a god herself, and she prays to one greater than her. Her gown is adorned with stars in the correct position as in the night sky, and the gold fringe of her cloak mirrors the surrounding countryside. Millions of natives will convert at the news of what has happened. Millions more will make pilgrimages over the next five centuries to see the miraculous tilma, and to honor Our Lady of Guadalupe. Great miracles continue to occur, even today. "Know for certain, least of my sons, that I am the perfect and perpetual Virgin Mary, Mother of the True God through whom everything lives, the Lord of all things near and far, the Master of heaven and earth. It is my earnest wish that a temple be built here to my honor. Here I will demonstrate, I will exhibit, I will give all my love, my compassion, my help and my protection to the people. I am your merciful mother, the merciful mother of all of you who live united in this land, and of all mankind, of all those who love me, of those who cry to me, of those who seek me, of those who have confidence in me. Here I will hear their weeping, their sorrow, and will remedy and alleviate all their multiple sufferings, necessities and misfortunes." The five golden rings represented the first five books of the Old Testament, which describe man's fall into sin and the great love of God in sending a Savior. The one thing we truly know about St. Nicholas is that he was the bishop of Myra, a city that existed during the fourth century in present-day Turkey. So many stories have grown up around him that by the middle ages he had become one of the most popular saints. In England alone there were more than four hundred churches in his honor! Nicholas is the patron of seafarers because he was said to have safely seen a ship he was sailing in to shore when he took the tiller in the midst of a great storm. He is the patron of prisoners because legend has it that he appeared to the Emperor Constantine on behalf of three unjustly condemned men. And he is the patron of children because of the story in which he threw small bags of coins through the window of a poor man's house so that he had dowries for his daughters. The giving of small gifts on his feast stems from the Dutch and German custom brought to this country by early settlers of New Amsterdam (New York) who had transformed the sainted bishop into a kind of Nordic magician whom we know today as Santa Claus. Say “St Nicholas” quickly 5 times to hear how Santa Claus came to be! The month of October each year is dedicated to the Most Holy Rosary. This is primarily due to the fact that the liturgical feast of Our Lady of the Rosary is celebrated annually on October 7th. It was instituted to honor the Blessed Virgin Mary in gratitude for the protection that she gives the Church in answer to the praying of the Rosary by the faithful. The traditional date of the feast, September 8, falls exactly nine months after the feast of the Immaculate Conception of Mary. Perhaps because of its close proximity to the feast of the Assumption of Mary, the Nativity of the Blessed Virgin Mary is not celebrated today with the same solemnity as the Immaculate Conception. It is, nonetheless, a very important feast, because it prepares the way for the birth of Christ. The Month of July is Dedicated to the Precious Blood. The feast of the Precious Blood of our Lord was instituted in 1849 by Pius IX, but the devotion is as old as Christianity. The early Fathers say that the Church was born from the pierced side of Christ, and that the sacraments were brought forth through His Blood. The Nestorian claim that Mary did not give birth to the unified person of Jesus Christ attempts to separate Christ’s human nature from his divine nature, creating two separate and distinctpersons—one divine and one human—united in a loose affiliation. It is therefore a Christological heresy, which even the Protestant Reformers recognized. Both Martin Luther and John Calvin insisted on Mary’s divine maternity. In fact, it even appears that Nestorius himself may not have believed the heresy named after him. Further, the "Nestorian" church has now signed a joint declaration on Christology with the Catholic Church and recognizes Mary’s divine maternity, just as other Christians do. The day is called both "Palm Sunday" and "Passion Sunday." The first name comes from the fact that it commemorates Jesus' triumphal entry into Jerusalem, when the crowd had palm branches (John 12:13). The second name comes from the fact that the narrative of the Passion is read on this Sunday. The month of November is set aside to celebrate the accomplishments and faithfulness of Black Catholics from the very beginnings of the Church. Did you know that of the over one billion Roman Catholics in the world today, at least 20% (200 Million) are Black? Africa alone has over 130 Million Black Catholics AND the largest Catholic Church building in the world is in Africa, (the Cathedral in Yamoussoukro). In every Catholic Church, there is a 'box' called the tabernacle where consecrated Hosts (Our Lord Himself) are reserved for adoration, worship, and for distribution of Holy Communion during the Mass and for the sick. One way to recognize the tabernacle is that usually a red or white candle will be burning very close to it to tell us that our Lord is present in the tabernacle. If the Blessed Sacrament is for some reason removed from the tabernacle, the light will be put out. The crucifix is meant to be real and part of the artist’s experience. The crucifix had to show real suffering. Actually, the crucifixion of Jesus is also redemption through suffering and death. I wanted to show it. This crucifix also portrays Christ as primarily a black man, which I believe is important to show. Being Black in the world and especially in this country, our suffering is united with Christ’s suffering – but glorious suffering. The head of Christ is inclined to the community gathered around and below so that He has eye contact with the community and there is a ‘sweet expression” on his face, For suffering leads to glory. It did in Christ’s life and so in ours. We believe from out Catholic faith that suffering leads to redemption and glorious resurrection. Glory comes through the materials, tools, resins and paints which I used for the crucifix. These materials are expressive. The corpus of body of Christ is made entirely of poplar wood. It was carved by use of a chain saw, fire, chisels and polishing tools. It adorned with a variety of pan-Africian colors stains to reflect that Jesus Christ came for one and for all peoples. There is some gold guilding on the loin cloth. The cross is made entirely of oak wood. This crucifix did not come easy. I had to struggle myself in making it. It took hard work which I’m glad about. Art has to work on more than one level –subconsciously. This also affects our response. Each time that this crucifix is looked at, I hope that it will be inspiring to people for a long time. Each time people come to St Joseph to pray, or just to sit here, the crucifix will be drawing people. Jesus Christ was and is very real. I hope that the Crucifix will continually evoke people’s emotions. Art is something that should not exhaust its appeal in just one time. No, it should be more. I hope people for days and years to come will learn more about the crucifixion and the glory coming from it. Whatever they get out of it w ill help them get through life. That to me is the “bottom line”. Religious art must connect with our daily lives. I hope that this crucifix at St Joseph will help people connect their lives with the life of Jesus Christ – who suffered, died and rose for our salvation. The Month of June is dedicated to the Sacred Heart. The Church celebrates the Solemnity of the Sacred Heart of Jesus on the Friday following the second Sunday after Pentecost. In addition to the liturgical celebration, many devotional exercises are connected with the Sacred Heart of Jesus. Of all devotions, devotion to the Sacred Heart was, and remains, one of the most widespread and popular in the Church. Understood in the light of the Scriptures, the term "Sacred Heart of Jesus" denotes the entire mystery of Christ, the totality of his being, and his person considered in its most intimate essential: Son of God, uncreated wisdom; infinite charity, principal of the salvation and sanctification of mankind. The "Sacred Heart" is Christ, the Word Incarnate, Saviour, intrinsically containing, in the Spirit, an infinite divine-human love for the Father and for his brothers. The month of November is dedicated to the Souls in Purgatory, whose feast is celebrated on November 2. With the exception of the last Sunday, November falls during the liturgical season known as Ordinary Time and is represented by the liturgical color green. The last Sunday, which marks the beginning of the Advent season, the liturgical color changes to purple, representing a time of penance. The Vatican City/papal flag consists of two equal vertical stripes of yellow and white (with the insignia of the papacy on the white stripe), a triple tiara over two crossed keys, one of gold and one of silver, tied with a red cord and two tassels. The divisions of the tiara represent the teaching, sanctifying and governing offices of the pope. The keys symbolize his role as the successor of St. Peter and the universal spiritual authority of the Holy Father. The papal flag is also a national flag as it represents the sovereign state of Vatican City. Many Catholic altars, have three steps leading from the floor to the level of the altar. This is used to symbolize the trinity of Father, Son and Holy Spirit. In walking up the steps at the beginning of Mass, the Priest, who acts in the place of Christ at each Mass, also symbolically acts out Christ’s literal rising from the earthly tomb after three days, completing the sacrifice and redemption that is re-presented at every Catholic Mass throughout the world. The Bible Is A Catholic Book – Did you ever wonder how the Bible came into being? A little known, but easily documented fact is that the books of the Bible were compiled by the Catholic Church. For many years after Christ ascended into Heaven, there was debate about which scriptural writings were inspired by God. The canon of Scripture (the books of the Bible) was first formally decided at the Synod of Rome in 382. This decision was upheld at the Councils of Hippo (393) and Carthage (397). At these Catholic Church councils, the same 46 Old Testament and 27 New Testament books that appear in today’s Catholic Bibles were declared to be inspired by God. 1200 years after this decision was made, Martin Luther and the Protestant reformers removed 7 books from the Old Testament. As a result, most Protestant Bibles are still missing these 7 books.